Don’t Sideline My Child. Battling Dyslexia. Particularly as school begins, many children are judged and misdiagnosed as being lazy or having behavioral issues when there may be a root cause. The first semester of the school year can begin roughly for some families. Undiscovered, but not necessarily new, issues are brought to light as our children resume academic and social activities. Common ailments such as hearing problems, visual issues, mental processing challenges, and even social issues are misdiagnosed or just missed, causing children and families heartache, pain, and academic setbacks. Unrecognized sensory and mental processing challenges almost always affect academic performance and result in building frustration for the child and parents. Challenges are compounded as misdiagnosed or unrecognized problems almost always lead to secondary issues. External factors like bullying can result in similar symptoms. Even though children are without blame for God-given circumstances, they still face tremendous consequence. That these issues are out of our control only furthers our frustration. Unresolved frustration is a fast track to acting out. Labeling can follow behavioral problems when a child acts out using anger, clowning, or violence. A butterfly effect of one event affecting another can happen as stigmas develop and become hard to shake. If your child is experiencing uncharacteristic or new behavioral patterns, it is critical that you ascertain if there are any root causes that have gone undetected before accepting a diagnosis of behavioral issues. Oftentimes children will not know to recognize these issues on their own and they may also be hesitant to discuss problems with their parents. This is especially true if they have been acting out in any way or feel like they have already been in trouble (and do not want to be in more trouble). In this article we will explore the most common affront on reading abilities — dyslexia. Because it is often undetected and diagnosed late, your child may be experiencing dyslexia and you won’t even know it. Just knowing the symptoms can be the key to helping your child. The most common learning disorder and reading disability is dyslexia. The International Dyslexia Association defines dyslexia as a “language-based disability in which a person has trouble understanding words, sentences or paragraphs; both oral and written language are affected.” Estimates vary, but it is often estimated that dyslexia affects between five and ten percent of the population. Dyslexia can be inherited, developed, or the result of damage to the brain. While there are many categories in the dyslexia spectrum, there are three proposed primary subtypes. The subtypes are auditory, visual, and attentional. Auditory dyslexia makes it difficult for the individual to process sounds of individual letters as well as groups of letters (and sounds). 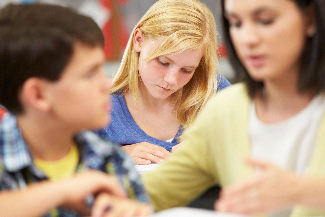 It can be difficult to distinguish auditory dyslexia from other auditory processing disorders. Auditory dyslexia can manifest in the symptom of listening problems for children. Visual dyslexia is the most publicly recognized and commonly associated with dyslexia as a category. With visual dyslexia, it can be difficult to tell a “d” from a “b” as the brain mirrors the visual and becomes confused. Words, letters, and parts of letters can move, blur, merge, flow, displace, or disappear. There have been studies that indicate that the font (typically sans serif fonts), or style of lettering, can improve the chances of an individual to correctly perceive letters and words. Knowing left from right can also be a problem. The visual stress is not just about a slower and more arduous process for reading. It can also cause headaches, clenching of teeth, and mental fatigue and exhaustion. Many symptoms of attentional dyslexia are in common with attention deficit disorder (ADD) or attention deficit hyperactivity disorder (ADHD). Individuals with attentional dyslexia are able to identify letters correctly, but are challenged to be able to focus on more than a word or a letter at a time. Letters may even migrate between words, changing the words themselves and the meaning of what is being read. Individuals who are dealing with only one subtype of dyslexia are sometimes able to mask the condition. The mind is sometimes able to compensate for dyslexic issues in such a way that no one knows they exist, including the person dealing with them. When mapped using MRI technology, the differences in a dyslexic brain can be observed. Specialized therapy can bring about beneficial modifications in brain functions, which are observable using the same technology. Dyslexia is not an indicator of intelligence. It does present challenges with reading fluidity and comprehension. When undiagnosed and untreated, those students challenged with dyslexia have to work much harder than their classmates and may still fall behind, regardless of their actual intelligence. There are also ample opportunities to feel frustrated or inadequate as they compare their effort and performance to their peers’. Signs of dyslexia that appear in early childhood include trouble remembering left and right, letter mirroring/reversal, delays in speech, and even being easily distracted by noises and sounds. Many children with dyslexia also suffer from attention deficit disorder (ADD) or attention deficit hyperactivity disorder (ADHD), with the two conditions sharing symptoms. As children mature to school age, other symptoms can be observed, including difficulty with rhyming words, recognizing syllables, and blending words. Dyslexia is primarily detected through screening programs in schools, and by parents who are aware of symptoms and proactive in testing their children. Mandated testing in schools is one of the best strategies we have to catch the condition early in the greatest number of kids. Many children are able to mask their dyslexia when their minds are able to compensate for the condition, and the child, parents, and teachers will likely not be aware that the condition exists. The good news is that dyslexia is a condition that can be treated. The brain can be “reprogrammed” so that the individual can read and overcome the challenges of dyslexia. Early intervention is especially effective. It is important to recognize that dyslexia cannot be practiced away through reading. It requires specific therapy. Treatment for dyslexic children requires consistent training by a certified therapist. There are therapies that can be accomplished individually or in groups. Mississippi State Senator Will Longwitz is a proponent of legislation to help save children from the effects of dyslexia. Using early intervention and qualified therapists, Senator Longwitz believes we can have a significant impact on the lives of children, families, and ultimately our communities. In Mississippi we have begun taking steps to detect dyslexia through screening in schools; however, it is not standardized. Madison County is one such county in Mississippi that screens in their schools. Unfortunately, screening for dyslexia does not guarantee treatment. Parents are not necessarily notified of the results of the screens and also are not necessarily informed of next steps toward treatment. Dyslexia can birth a dangerous set of circumstances that are avoidable. Parents become desperate in the second half of kindergarten as their child struggles with reading and does not know why. The child feels dumb, embarrassed, and discouraged. The child may stop trying or act out to compensate. Parents become exhausted. Teachers become frustrated. This condition can be impacted and often overcome. In his research, Longwitz reports that within two academic years with therapy built into the curriculum, young children can be reading well. It is easy to see how early intervention can have a tremendous impact on the lives of children. 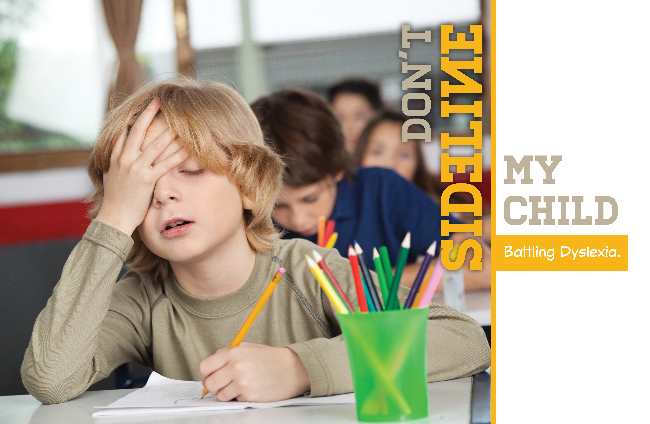 Legislated action in Mississippi can ensure students are screened and kept on track early. This will lead to higher academic performance and is expected to lower dropout rates. Know the symptoms of dyslexia. Check your child’s hearing and vision. If there is any question at all, test your child. Your child may be struggling and not telling you. Early intervention can make all the difference in your child’s life. Never accept acting out or laziness as a diagnosis without digging deeper. Your child may actually be a victim of something greater. Behavioral issues may be symptoms of a root cause, such as dyslexia, a physical impairment, another mental processing condition, or a social issue that is in need of immediate attention. If so, you have a child who is desperately in need of your help and support.